The Chinese destroyer Qingdao and oiler Hong Zehu docked today at Pearl Harbor as part of a goodwill mission to the United States. 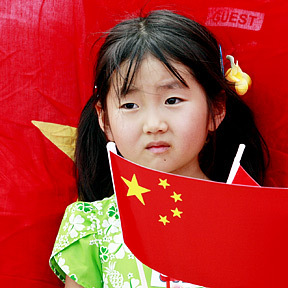 Li Hui Yan, 6, held flags while anticipating the ships' arrival. The ships will be in port until Saturday.